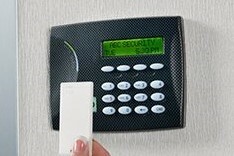 American Security Devices is a leading security services provider in the DFW Area. As a one-stop security vendor serving all of Texas, we offer cost-effective, dependable, and comprehensive residential and commercial security solutions. We protect industrial buildings and government facilities as well as large and small businesses, including shopping centers, warehouses, offices and restaurants. If you need a Fire Alarm, Security System, Door Access System, Video Surveillance or Other Services, contact ASD today for an Estimate at No Charge. Lower the risk of break-in with a burglar alarm system from American Security Devices. 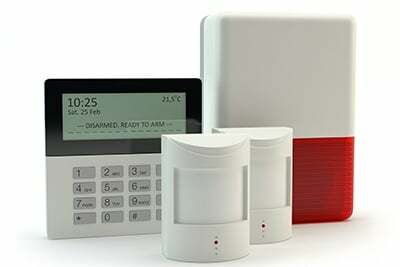 Our alarm system is designed to alert you and potentially scare off intruders. When there are trespassers, it will immediately attempt to notify our monitoring station to contact you. If you don’t cancel the alert via phone, the police could be dispatched to your home within minutes. American Security Devices helps you protect your home and business from fire and smoke hazards. We provide installation, scheduled maintenance, and monthly monitoring of fire panels, smoke and heat detectors, audio and visual devices, emergency pull stations, and voice evacuation systems. In addition, our team will make sure that your fire protection system meets the requirements of your local fire authority and insurance company. Check the status of your home security system right from your mobile phone. You'll be able to check if your security system is armed or disarmed to verify your property is secure while you're away. As a full-service security services provider, we offer cost-effective, custom packages to address all aspects of your security needs. You can also expect dependable and timely responses from us every time. We have 24-hour monitoring and live phone support for your convenience. Make American Security Devices your one-stop security vendor.